When I studied a course on race and philosophy as a graduate student, I wrote on the way in which W.E.B. DuBois incorporated Hegel into his theory of double consciousness and Afro-subjectivity. The irony being that Hegel famously declared African people as lacking the ability to use reason, and thus their civilization was less superior and outside the rush of universal history and spirit. What I learned very quickly was the co-opting capacity of Hegel. This legacy is understood well by Frederic Jameson in his latest book, The Hegel Variations. The Variations is a close reading of the Phenomenology of Spirit. Because, one might argue, Hegel’s philosophical system has never been gathered into one single coherent position, Jameson looks to rectify this shortcoming. The Variations is a short text for Jameson, who recently churned out a 400 + page book on the dialectic, ranging from art criticism, to globalization, to cultural studies. He remains the foremost theorist of the cultural from a Marxist lens. In the Variations, Jameson wrestles with Deleuze’s and Kojeve’s readings of Hegel, and with the way in which Hegel responded to Kant. In all three instances, Jameson enters the argument to clarify what Hegel was up to in the Phenomenology, and he does an excellent job in isolating the text as Hegel’s crowning theoretical achievement. In the Variations, all interest in political economy are set aside, and Jameson is most concerned with the way that Hegel, in the Phenomenology put forward a new system for thinking, and the way we must now come to terms with that form of thinking. This new dimension of thinking, what Hegel calls “speculative” takes greater importance than the dialectic itself. For Jameson, it is essential that we orient our reading of Hegel to an open-system reading. As Adorno points out, Hegel always inclines in the direction of a “preponderance of the object.” The point being that we need to stress an open ended Hegel rather than a closed ended system-based thinker, a Hegel where spirit is expansive and not cyclical, or as Alain Badiou argues, a Maoist Hegel. The musical theme is the best way to understand Hegel according to Jameson. We reach a point in reading Jameson’s work, where he puts forward a Hegel where difference commands its sway over everything, and ultimately comes to liquidate identity itself (24). This Deleuzian, wrapped up in pure difference is what I wish to outline in this book review. Jameson argues that Hegel can be used to understand the postmodern tendency to impose a correct language, that is to say, a stable set of names for philosophical problems, which itself is a mirage of universality that regresses into vapid multiculturalist “interpretative communities.” The point then becomes that the futility of names and application of names and the need to apply an academic language to a set of problems – which it is important to add is very much similar to what Lacan refers to as the university discourse, becomes the central problem of Hegel’s Phenomenology (25). Hegel becomes a philosopher of negation, who inhabits a place where concepts have already proven obsolete, where every attempt to resurrect a new language ultimately fails; there remains a distance between the theme and the philosophical operation applied to that theme. Is Hegel then the first philosopher of postmodernism in some ways, or is Hegel able to help us understand some of the main problems of postmodernism. It is appropriate, in light of so much interest these days in the subject, that we start with the way that Hegel situated the subject in the Phenomenology. Jameson is weary to read into Hegel’s absolute spirit as the creation of a centered, or “fulfilled subjectivity.” Jameson is also opposed to seeing the individualiszing of the dialectic less it reverts to a sort of bildungstroman, or process of heroic education of the individual. It is fair to argue that Hegel seeks to reinstate the subject by inverting Kant’s provisional limbo of, “we can know our knowledge of things but not the things in themselves.” In the Phenomenology, things fall into place if we follow spirit as the ethical life of a nation, in so far as it is the immediate truth, the individual as the world. As Zizek points out, “the Phenomenology again and again tells us the story of the subject’s repeated failure to realize his project in the social substance – to impose his vision on the social universe – it is the story of how the big-Other, the social substance continually thwarts his project “(The Ticklish Subject, Pg. 76). Hegel’s dictum that subjectivity must always divide; or in other words that it must always become concrete by dividing itself, which is to say that it must give itself the concrete form of a specific division. Thus, the self knows itself as actual only as a transcended self. Hegel warned against the notion of presuppositions – of always positing in advance. Hegel warns against thinking conceptually. The most famous act of positing is thing in itself, or the Kantian noumenon. Kant’s philosophy posited that merely subjective perceptions cannot grasp a being that it seems impossible that we should be able to affirm its existence in the first place (29). The better question, for Hegel, is not whether objective reality exists, but from which vantage point positing it is itself observable (30). Idealism, for Hegel is “the ideality of the finite” this is why number is the thought nearest to the sensible (31). This is why Hegel argues that what we grasp through our senses is not an immediate sensory reality, but is always a mixture of ideas and ideation (31). Idealism must be understood as a way to respond to the peculiar problems of consciousness. The not-I, or that which consciousness is conscious of as not its other is the way to understand consciousness. It is that which always must remain unknown as a thing that is the other. This leads to the Hegelian conclusion that all thought about beings is still also just thought. We come to find that what Hegel means by “speculative” is the idea that by positing a beyond that is always inevitably metaphysical. This positing becomes what Hegel refers to as the “moment of philosophy,” where the outside substance is equivalent to life itself. This is the “speculative moment” (33). Hegel, also unlike Kant is seeking to unmask spatial thinking, and thinking of externalities in quantitative terms. For this to work, Hegel incorporates what he calls non-contradiction thinking. Only one pole can be true at any given time. Jameson rightly warns against reading into the dialectic as a unity of opposites, but rather as a way of thinking without positive terms (48). it is preferable to grasp each moment as an interminable play of differences without any stable resting place – the most common oppositions: content/form, essential/inessential, inside/outside, self/other, identity/difference, etc. This approach trains us in a non-teleological Hegel, one whose primary concern is an empiricism, or what Jameson refers to as an “ideology of non-contradiction” (50). In the Phenomenology, sense is the primordial experience that precedes all others. Hegel’s subject enters the world through a realm not composed of nothingness, but one of negativities, a realm that precedes all differentiation, a sort of non-all space. The only phenomenon that can be placed in structural relationship to this place is language itself. Reality cannot be counted on to give an accurate account of the Notion, or truth, or reality. Language is the only thing that can express the I, the I that is particular and simultaneously universal. That it is perceived or heard means that its real existence dies away; this its otherness has been taken back into itself and its existence is as a self conscious now, as a real existence it is not a real existence, and through this vanishing it is a real existence (308 – 309). Through language individuality emerges. The paradox is that my individuality does not exist until it exists for others. But, importantly, Hegel declares that the moral worldview is utterly crippled and incapable of communicating anything universal or objective, because each maxim is merely consciousness communing with itself. Since universal always means other people, Hegel conflates the universal with others – the other person is the site of alterity, yet language is beyond the individual as a collective. The idea of creating an objective worldview that is transparent is very much in line with Hegel’s project in the Phenomenology, but what remains is not some Law, or Kantian Sollen, but a reliance on universality, and it is the subject’s inner intention and will which is sufficient to ground universality of the self. The self’s immediate knowing of itself is law and duty. The self, unlike Kant’s self is not universal in the content of the act but is universal in the recognition of conscience as the guiding ethical and moral force for the individual. Thus, it is in the form of the act that universality lies. Jameson seeks to take Hegel’s treatment of religion as a semi-autonomous dimension of the social totality. Religion, to Hegel was culture as we define it today in its widest possible sense, as that which interpolates and forms subjectivities. Culture now becomes a term that envelops all of society, and does not refer only to a specific type of high or low culture. In this sense, Hegel’s account of religion can be credited with the advent of culture as we know it today within the field of cultural studies, as a totality that structures social life. Hegel’s most significant contribution to the study of religion, Jameson contends, is the idea of representational thinking, or picture thinking. Here is a foreshadowing of ideological analysis as such. The idea being that ideology and culture are caught in a dialectical relationship, as it becomes impossible to think one autonomous of the other and whereby religion stands in contradistinction to ideology as culture. But he refuses to elaborate on this idea, and alludes to this “heterogeneity of religion” as opening the field of cultural studies. 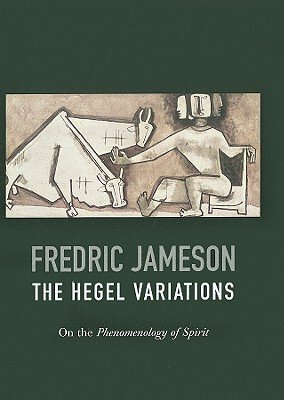 What distinguishes Jameson from the deconstructionist critique of Hegel is not its totalizing capacity, i.e. the tendency for the dialectic to subsume the present. It was the existentialists who had a problem with the idea that their present historical period was merely one stripped and set apart in a process outside of their understanding. What Jameson identifies as the problem of Hegel’s speculative approach is precisely the issue that reason consummates itself. That reason becomes the self. The quest for the subject never materializes in the Phenomenology, however, the spread of reason, in its final culmination – at the outer ends of all things merely reflects oneself back into the “I”. Here we have a Hegel whose understanding of the absolute, not of spirit is narcissistic, rooted as it is after the Phenomenology in an aversion to difference and otherness. the whole truth for Hegel is an open wide-spread inter subjectivity without any end .there is nothing outside this subjectivity ;niether Ding an sich,nor causa sui and Cartesian substances.there remains no externality and as a result there is no Grund for any external authority that determine or regulate or constitute the infinite inter-subjectivity.Such a grund is the Abgrund in the very heart of the so called inter-subjectivity.God is nothing else other than the Abgrund of human inter-subjectivity . Previous PostPrevious Towards a Post-Deconstructive Subject? Not So Fast!